An Occasional Blogger – Page 2 – Enlighten Me! The Flavor of Words: How Sweet are Yours? Who Needs a Nikon? Your Phone & Your Ipad Hold the Power! Pokemon NO! Why I Came Around To Saying “YES” To This Silly Game. During a recent presentation on remixing, I shared some ideas for narrative writing prompts and had some great ideas shared back. Of course, don’t feel restricted to writing. I’m sure these could inspire lots of other creative tasks! First, read Joelle Trayers’ explanation of how she used backwards writing prompts with her young students. Similarly, I once gave students the choice to begin or end a narrative with a prompt: the (very) short story Knock. Despite initial protests, the results were fantastic. Thirty-six different stories, from suspense to action to romance (!). You could also use proverbs, idioms, or other sayings as the beginning or ending point of class narratives. National Geographic’s Tumblr, where one image from the magazine’s photo archive is posted daily. I love these cowboys, or how about this evocative 1936 photo of a train? The Flickr blog, where outstanding photos are shared based on themes (try photos from the Alps, from planes, or pretty panoramas). And finally, a few teachers at my recent OCC GATE session recommended the picture bookThe Mysteries of Harris Burdick as a way to inspire student writing. The book features fourteen beautiful and perplexing black-and-white illustrations from the creator of Jumanji and The Polar Express. Each image is accompanied by a title and a sentence which only adds to the mystery of each page. There is no plot. Rather, the reader is expected to create their own tale about each illustration, or try to link the strange scenes together. 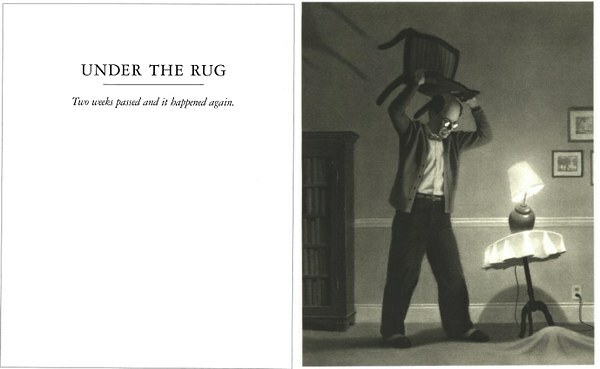 Update: There are contests and examples of student writing based on Harris Burdick at thebook’s site. Thanks to Wendy on the Byrdseed Facebook page. Fourteen professional authors (including Stephen King, Lois Lowry, and Kate DiCamillo)tried their hands at constructing stories inspired by the illustrations from Harris Burdick. Embracing grammar as something to be explored not just corrected, I often visit this Great Sentences blog site to find good mentor texts for my English classroom. A blog a day keeps the blahs away…stay fresh and keep it current. Sample a few of the 2016 winners: Great Educational Blogs.